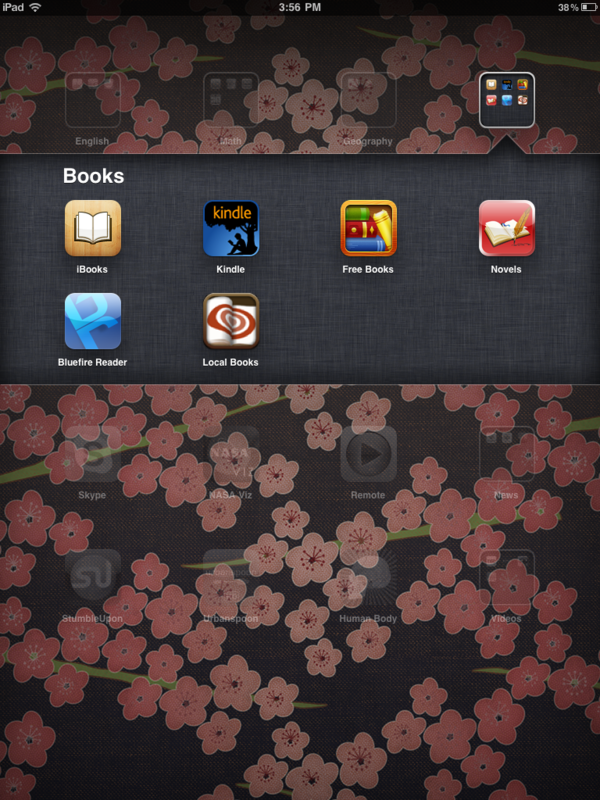 Oh the places I’ve been: Ebook Apps, Math, Science, Reference and where to keep them. Since I’ve received the ipad from Beth, I have tried to do something new with it everyday. Although I haven’t been able to live up to this goal, I have still learned many things that I would like to share with you. It is indicative of the slowness of my brain that it has only just occurred to me to maintain a blog about my ipad journeys. Usually the posts will be very brief, outlining the 15 minutes or so I allow myself for ipad exploration duties. However, there is a lot of backlog in terms of where I have been, so bear with me. What is the first thing I did when I got my ipad? You guessed it! Straight to the App store for me. 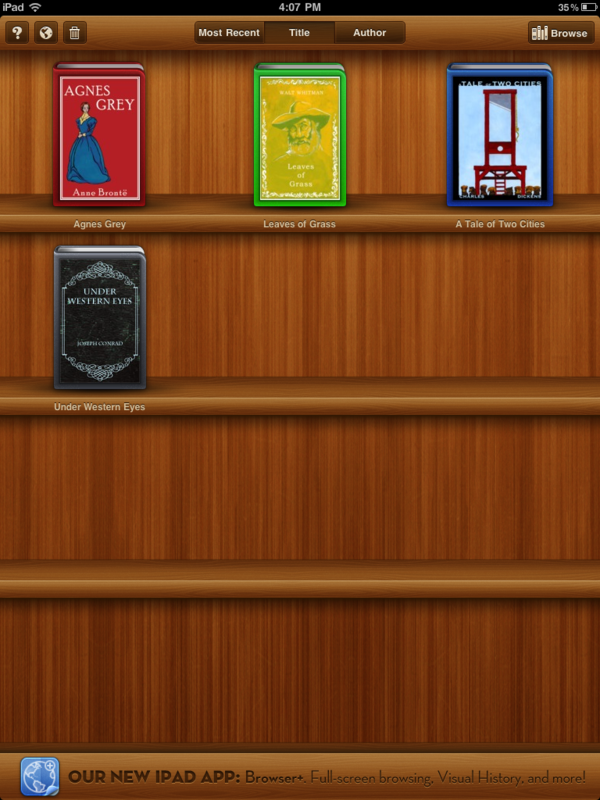 As an avid reader, the first thing I did was download the Free books app and anything to do with books and English. ibooks: the only thing I have so far is a guide to writing fiction from the Open University and Henry James’ the Turn of the Screw). kindle app: haven’t really played aorund with it as it requires purchases from amazon- and there are too many free books available! Novels: total let down. Old novels for a couple of dollars but nothing free. And just in case you are wondering, they do not have the Hobbit. Bluefire Reader: This is necessary if you have an account with NetGalley. Just figured this out yesterday and now have the galleys for Marina Endicott’s and Anita Rau Badami’s new books on my ipad! Local Books: Shows you the local books stores and events in your neighborhood. 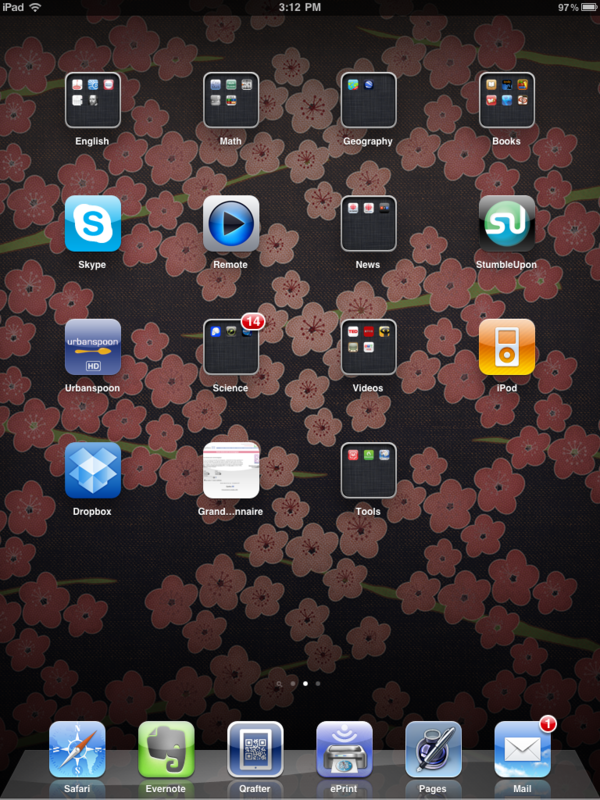 Folders? What is that you are talking about? 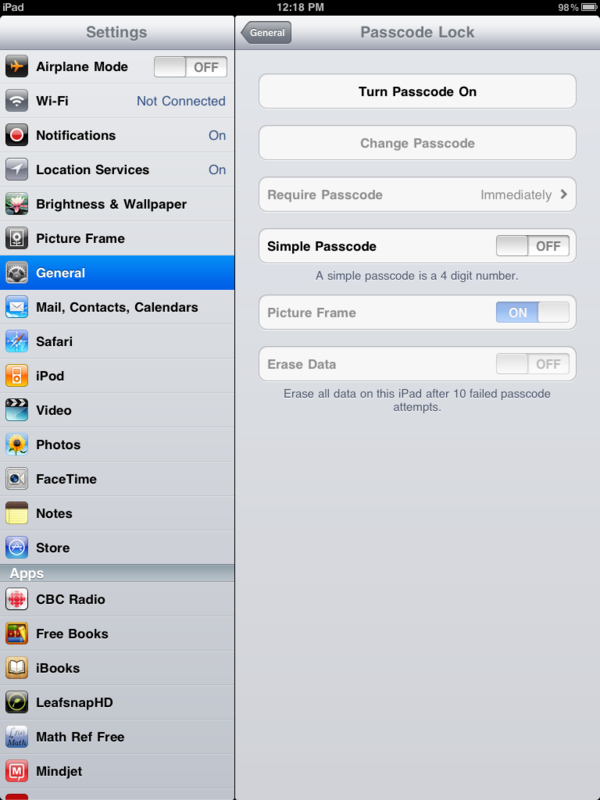 Beth (IT Guru) showed me how to collect subject specific apps all in one place! Press for a couple of seconds on an app you would like to move. Drag it on top of an app with a similar subject (eg. ibooks on top of the kindle app). 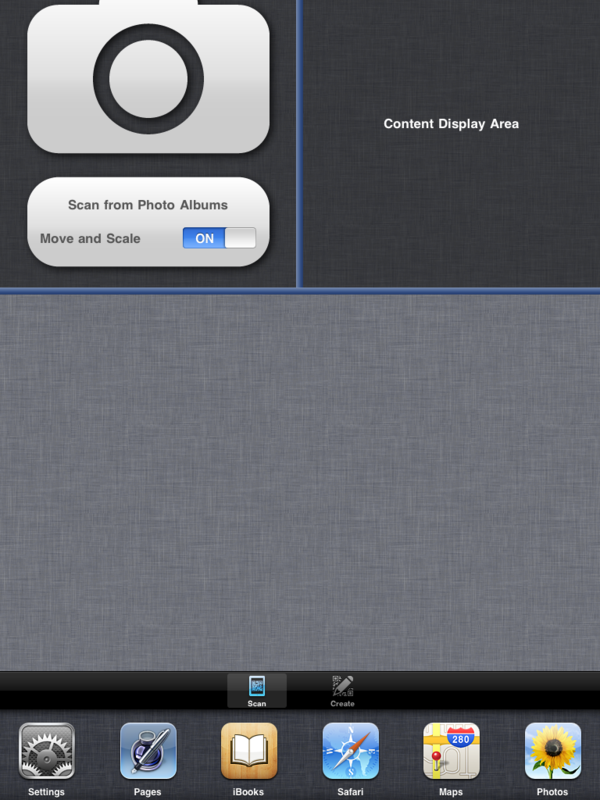 This will create a folder – you’ll see a black box form around the apps. Let go. 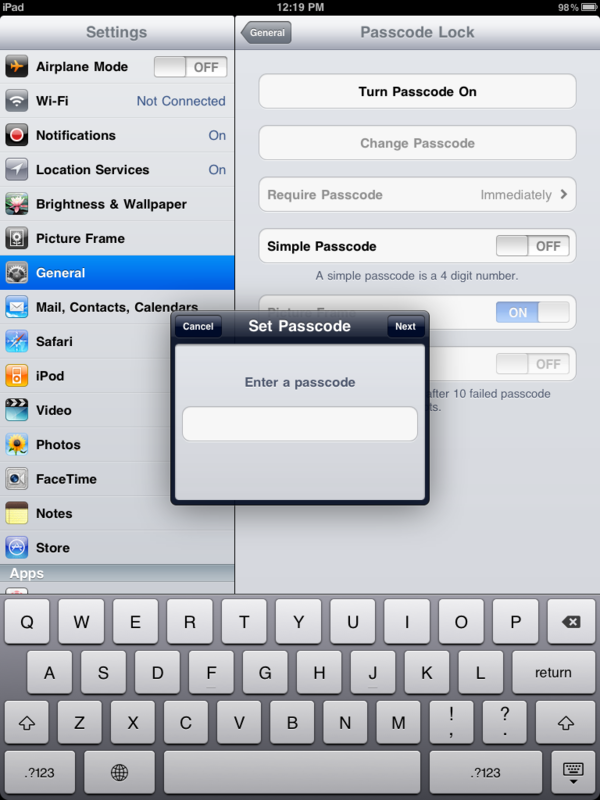 Your two apps will appear inside the folder. 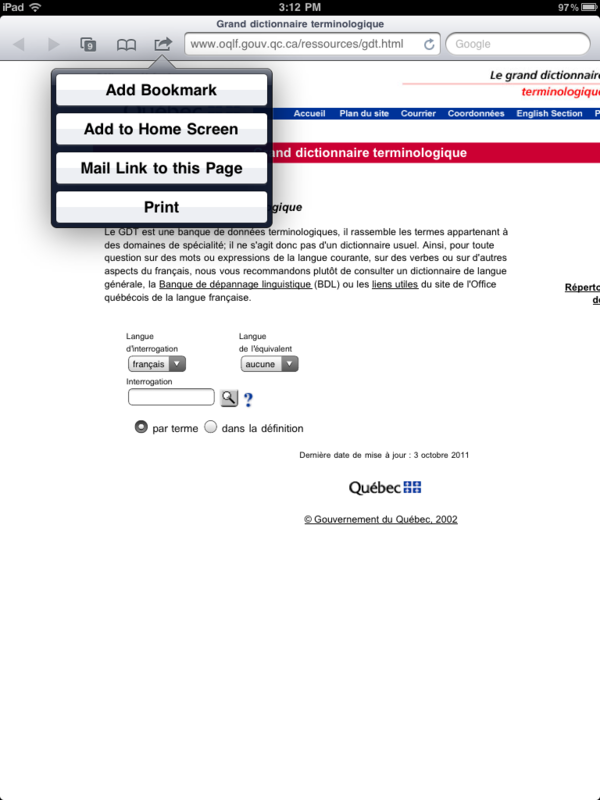 Click on the name bar. Rename your folder to whatever you want. Click anywhere but in the black box to exit. This has been very handy for me as I am trying out apps in a variety of subjects in order to help out the teachers. I have already listed the contents of my Books folder. Here are the rest! Vocabolistic: a good studying tool for anyone doing a spelling bee. Gives the definition, antonym, synonym and usage. You can also dictate the speed it shows it to you. Math ref Free: This would have been so useful as a student. It gives you the formulas for many differen equations. Math drills lite: My favourite of all the drill apps, this one gives you the written problem, how it looks on a ruler, as well as a calculator pad to write the answer on. The free version is very basic however, better for Elementary students or for reviewing in Sec I. Math Quizzer: like math drill sbut even more basic. Convert Units: good for temperature, mass, but not so much for using for recipes. Google Earth: requires no introduction. Youtube: comes with the ipad already I think. NFB– you can watch so many things online for free! Netflix– totally not work related, but hey. You never know when you might need to hunker down and watch a movie. 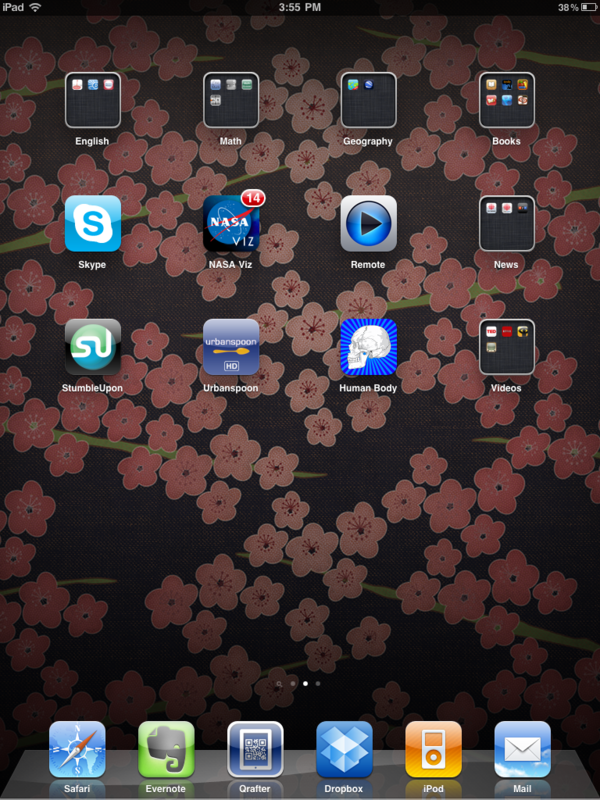 Favourite App so far is definitely the NASA app, which will go into my science folder as soon as I get more Apps. 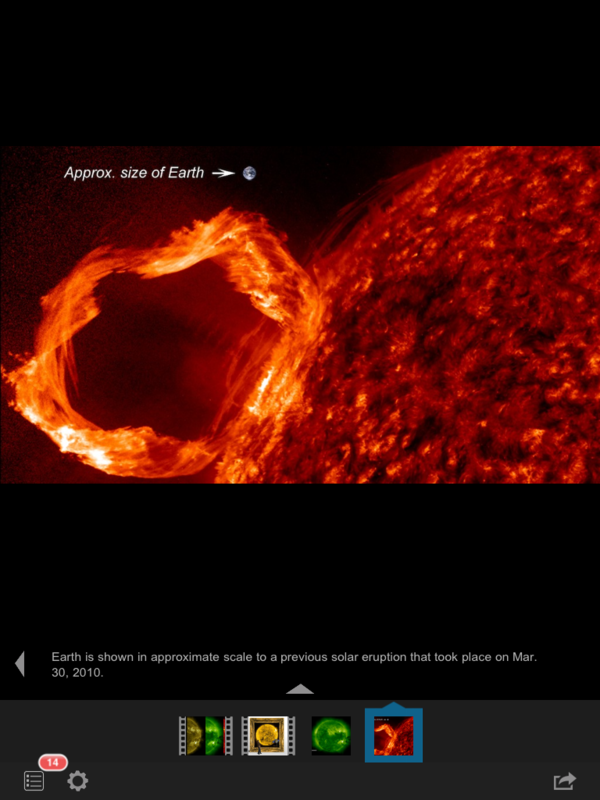 INformative, multi-media showcases concerning astronomy and Earth Sciences. Okay! That’s it for my first post. I promise they won’t be so long in the future!